Nikon Metrology, Inc. (“NMI”), offers the most complete and innovative metrology product portfolio, including state-of-the-art vision measuring instruments complemented with optical and mechanical 3D metrology solutions. These reliable and innovative metrology solutions respond to the advanced inspection requirements of manufacturers active in aerospace, electronics, automotive, medical, consumer and other industries. Systems are available in both fixed and portable configurations, equipped with a single or multiple sensors. NMI has offices and marketing efforts in both the US and EMEA. Prior to selecting Pinpointe, NMI’s EMEA and US marketing teams were using a European Email Service Provider (“ESP”) for their email campaigns. Unfortunately, the product support was not responsive, so when NMI ran into a glitch and needed assistance, they were often stranded for days and at times and oftentimes never received a resolution. NMI experienced occasional service outages with their email provider servers, which reduced overall campaign response rates and increased NMI’s frustrations. Over time, NMI also experienced a decline in their email delivery and lower response rates for their opt-in email campaigns. The company’s products are ‘big ticket item’ devices, so poor email delivery can have a large impact on revenues. In the rapidly changing email landscape, NMI found they were in search of ‘best practices’ advice to help improve their email response rates. After an extensive search and trialing multiple providers in 2009, Nikon Metrology Inc. selected Pinpointe and hasn’t looked back since. To ease the transition onto a new email provider, NMI needed a solution with an easy-to-use interface, and a full range of email marketing features so that the company could effectively create, send and track their email responses and manage their email database. When NMI first selected Pinpointe, an initial online training session was scheduled to help get acquainted with Pinpointe. "Pinpointe’s user interface is logical and well organized, so the product is easy to use and the initial learning curve was simple,” said Cali Schwartzly of Nikon. Exceptional customer service was also a top selection criterion and Pinpointe’s support team was very responsive to NMI's needs. “When we have a problem, we can initiate a live chat session or use Pinpointe’s email support. They answer email tickets quickly (within 2 hours) and email support has been available from morning until late in the evening. On the occasion that we’ve had a time sensitive issue to resolve, we talk to an actual support representative by phone until the problem is resolved. It has been a wonderful experience working with Pinpointe,” Added Cali. NMI has been using Pinpointe since 2009 to send and track email marketing campaigns. 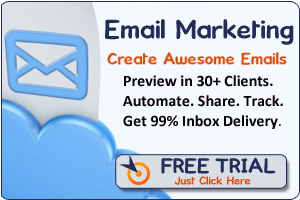 The company sends their regular monthly newsletter to customers and prospects and also uses Pinpointe to invite prospective customers to events, and to send post-event email follow-ups. With Pinpointe, NMI can get reports on the recipients who open each campaign and recipients who click on specific links so the sales team can prioritize follow up efforts. NMI has made use of Pinpointe’ s custom fields, so that they can segment and target customers based on custom selection criteria. For example, NMI regularly targets their email campaigns by region, product interest lead source and industry. Analyze website traffic generated via Pinpointe in Google Analytics. Average open rates have increased significantly throughout the 4 years by about 5% each year. People see an email from Nikon and are more apt to open it. We now receive a lower rate of unsubscribed contacts than they previously experienced. 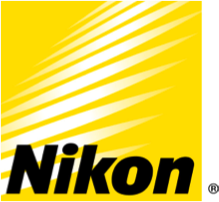 Nikon Metrology Inc.’s sale cycle can be up to 12 months. The company is able to track inbound inquiries that come in following an email campaign, and track leads that come in from the website and are analyzed using Google Analytics. Pinpointe’s service has been extremely reliable. As a result of of their world-class data center facilities, Pinpointe has achieved virtually uninterrupted uptime for NMI.